In order to practice as a nurse in any given state you’ll need to have a current license. Where do you start? Aureus Medical is here with the info. 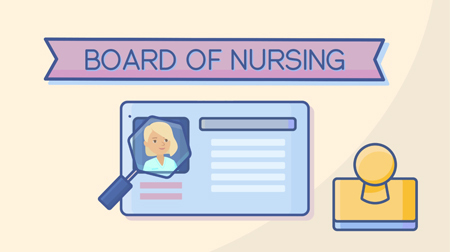 Licenses are issued by each state’s Board of Nursing or related organization. Resources and forms are available on their websites. Once you’ve completed a two or four year nursing program and have passed the NCLEX (EN-CLEX) exam, you’re ready to apply! Download requirements from the website and review the instructions. Request official transcripts from schools where you completed course work toward your nursing degree. Submit your application and documentation. If online submission isn’t available, consider sending via overnight delivery. Then, follow up to confirm delivery. Know that processing time varies from state to state, from one day turnaround in Missouri to six months in California. Some states may have additional requirements. Be sure to review the criteria for the states that interest you so you allow enough lead time and meet specifications prior to your start date. Your recruiter is also a great resource. Many states participate in a nursing compact. If you’re a resident of a compact state, one license will allow you to work in states within the compact. To practice in a non-compact state, you must apply for a license in that state. Once you have your license, you’re ready to go!